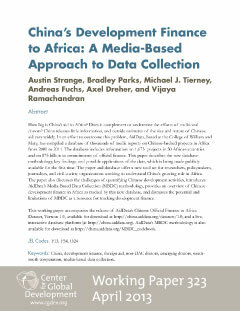 The 1.1 version of AidData's Chinese Official Finance to Africa dataset tracks 1,955 development finance activities in Africa from 2000 to 2012. The data includes both Chinese aid and non-concessional official financing. 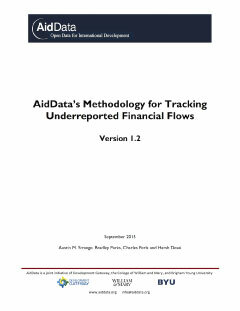 The dataset was generated using a novel, open-source data collection methodology—Tracking Underreported Financial Flows, or TUFF—which triangulates project information across a range of data sources including media reports, Aid Information Management Systems, scholarly articles and recipient or provider ministry websites. For the full methodology, please see AidData's TUFF Methodology, Version 1.2.